Natalie Medlicott is the General Counsel and Chief Compliance Officer at Proprium Capital Partners, L.P. In this capacity, she is responsible for all legal and compliance matters relating to the company, its activities and investments globally. Prior to joining Proprium, Ms Medlicott was a Director at Societe Generale in New York in the structured finance group. She was responsible for structuring and execution of various financial products across multiple asset classes, and managed numerous legal, accounting and regulatory issues across the global securitization platform, including asset-backed commercial paper conduits, CDOs, CLOs, and structured investment vehicles. Prior to Societe Generale, Ms Medlicott was a senior associate in the securitization practice at Mayer Brown, where she represented issuers, underwriters and lenders in US and international securitization transactions in both public and private offerings. 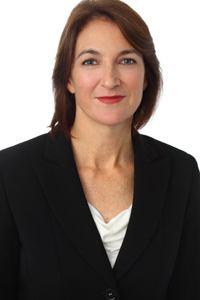 Ms Medlicott began her career in the capital markets practice of King and Wood Mallesons in Australia. Ms Medlicott holds a Bachelor of Laws with Honors and a Bachelor of Economics with First Class Honors from the University of Sydney, Australia. She is admitted as an attorney in New South Wales, Australia and in New York.